There have been countless rumors and myths about how difficult it is to cleaning hot tub filters is. To many people, hot tub maintenance sounds like too much of a burden. If you feel as awkward and think that cleaning your 2-person hot tub is really burdensome, you don’t have to be too worried because about four out of five hot tub owners feel the same thing. You may have been a victim of that charming salesman who brainwashed you into thinking that all you need is a hot tub filter cleaner and you can let the hot tub chemicals do the dirty work like magic. They make you envision yourself lounging lazily in your inflatable hot tub without thinking about what to do once you are done using it. It isn’t as easy as that. What you may not know about how to clean a hot tub filter could spell the difference in the life expectancy of your portable hot tub. Before you even think of getting a hot tub spa, you have to educate yourself on how to dismount and rinse the hot tub filter, how to remove and clean your cartridge cleaner, and how frequently you should clean your hot tub. Generally, Pleatco hot tub filters can last around a year or so, depending on how heavy your usage is and how well you maintain your hot tub parts. To know what hot tub accessories will best enhance your hot tub’s longevity, you have to know the basic differences between a hot tub and a pool spa. The size difference between a hot tub spa and a small family pool is incomparable in terms of the water that each person would occupy. If a domestic pool contains around 20,000 liters of water divided among six family members, each person gets about 3,300 liters. On the other hand, a regular hot tub spa can only carry 1,300 liters, which translates to just 200 liters for each member of a family of six. If you do the math, six people in a hot tub is the same as 100 persons in a regular domestic pool! When it comes to temperature regulation, a hot tub spa works with a much higher temperature than a pool. Because of this, you have to think of effective solutions for microbial buildup, damage to fabric, and skin dryness due to the chemicals in the tub. You can buy coagulants such as foam down to prolong your hot tub filter’s life span while also minimizing the need for frequent cleaning. You can also use scum absorbers like Zorboid. 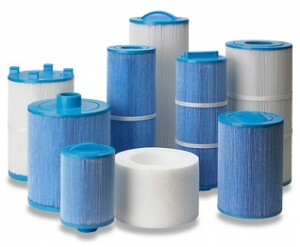 As a result, the life span of spa filters is much shorter than the life span of pool filters. 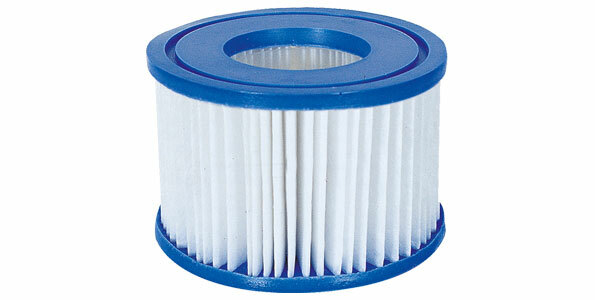 A recent report from General Electric (GE) Water claimed that the gradual accumulation of debris and dirt in the filter significantly reduces the pore size of the filter over a certain period of time. The small particles appear as slimy, gel-like substances that, when large enough in concentration, can clog up the filter’s pores and reduce filtration quality. This drastic reduction in filtration clearly signals the pool filter’s decline, giving it a life expectancy of only two months left. The predictions of GE sound gloomy and unrealistic, but it clearly explains how the buildup of dirt and debris contributes to the shortened shelf life of hot tub filters. You also have to take into consideration other factors that affect your pool or tub filter’s life, but more importantly, you have to pay attention to how long it will maintain its quality and effective filtration. This entry was posted in hot tub parts, Portable hot tub, spa and tagged Hot Tub Filters, hot tub parts. Bookmark the permalink.